by Brands, H. W., Jr.
From the alleged involvement of Middle Eastern terrorists in the bombing of New York's World Trade Center to the continuation of US-brokered peace negotiations between Israel and its Arab neighbors to the Persian Gulf war of 1991, the Middle East figures integrally into the foreign policy concerns of the United States. The United States and the Middle East, 1945-1992 provides both the background and the most up-to-date details necessary to understand relations between America and the Middle East as they unfold in the nineties. 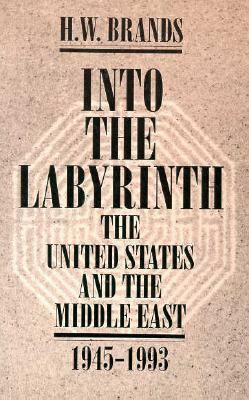 The book treats a wide range of aspects of American policy toward the area: the Arab-Israeli dispute, the Palestinian question, petroleum, great-power competition in the region, the Iranian revolution, the Iran-contra affair, and the Persian Gulf War.Brands, H. W., Jr. is the author of 'Into the Labyrinth The United States and the Middle East 1945-1993', published 1993 under ISBN 9780070071889 and ISBN 0070071888.